Get creative with your kids (without the purple paint on the new carpet). 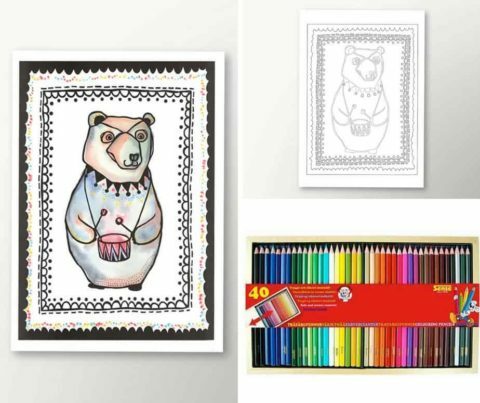 Color or draw with the pencils, then add water with the brush and you will get a very elegant aquarelle effect. Nurture your child’s creative mind (without the mess). 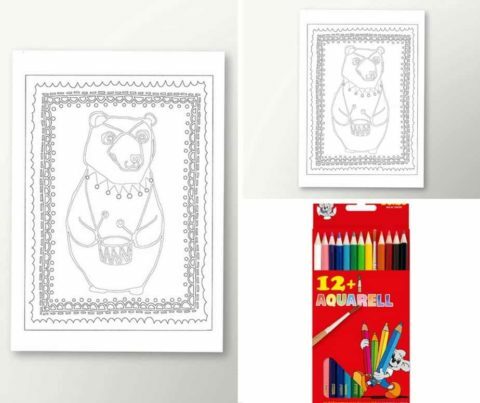 For example, this aquarelle pen set is perfect for coloring our FREE downloadable coloring page – Circus Bear – that you can get here. 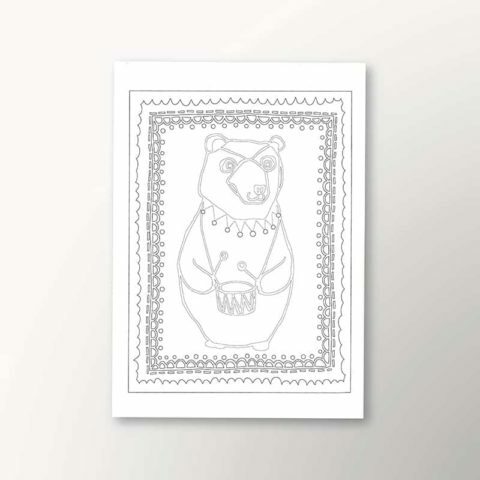 Or you can use it to unfold your creativity on our A3 make your own art print with Circus Bear. 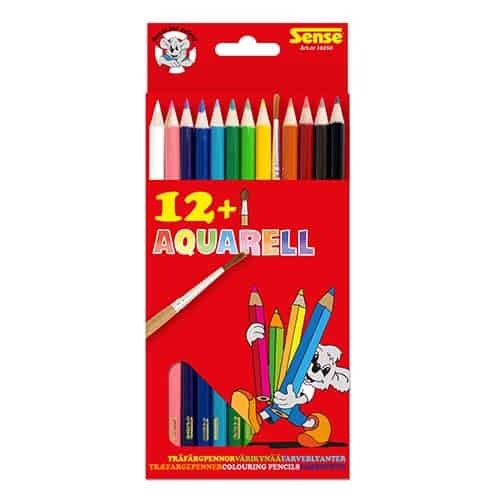 Aquarelle pencils – a set of 12 pcs. with 1 brush from a Swedish Sense AB. Visit Sense and read what this company does for safety. We have selected these pencils because they live up to required specifications and that there is no presence of unwanted substances.